Jealousy in relationships in always a point of concern as many don’t take it lightly if you mishandle their spouses in public. 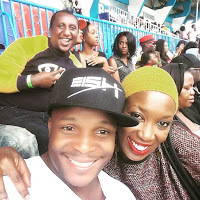 In much hyped Super 8 Soccer Tournament held at the Nyayo National Stadium, Comedian Jalango, singer Nameless and wife Wahu were among the top stars who occasioned the tournament .The tournament was sponsored Sportspesa with an aim of promoting local talent. 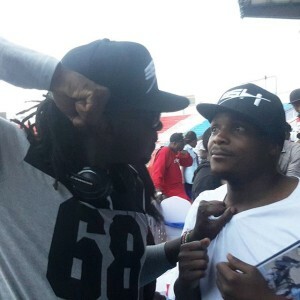 During interactions, Jalango stole the chance to take a selfie with Wahu but that did not go well with Nameless who threatened to punch him right on the face for mishandling his wife Wahu. He warned him never to take photo with his wife again. 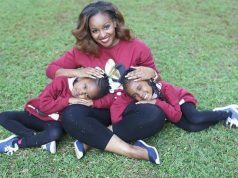 @namelesskenya wanted to beat me and warned me never to take a another photo with wife @wahukagwi again..